microSD memory cards are used in a lot of our electronic devices. 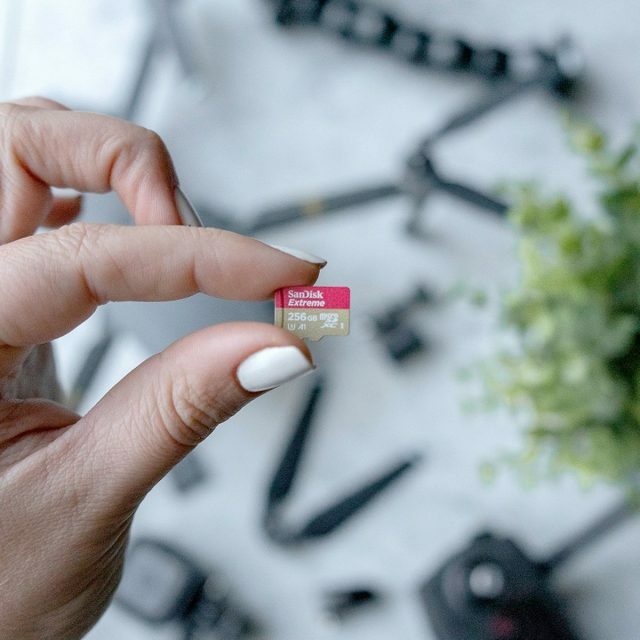 They’re great for expanding on smartphone memory where it might be cheaper to buy a microSD card instead of choosing the model with larger storage. This is applicable to both smartphones and tablets, but it won’t be limited to just mobile devices either. Certain cameras, such as the GoPro, also benefits from the use of microSD cards and if you are in the market for one, SanDisk is currently having a sale where the 128GB model of its Extreme UHS-I card has been discounted by a whopping 68% where it is now priced at $21.98 instead of its usual price of $68.99. Buy On Amazon For $21.98According to SanDisk, they are boasting that this microSD card will be capable of achieving read speeds of up to 160MB/s, and 90MB/s write speeds. This will be important when you are trying to read and write higher-resolution media files, such as 4K videos and RAW images shot on your camera. They also benefit from being tested for use in harsh environments are is temperature, water, shock, and x-ray proof. If this sounds like something you might be interested in, you’ll be able to get your hands on it at Amazon where the deal is expected to end tomorrow.